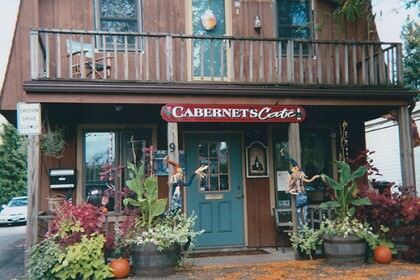 Thank you for visiting Cabernet’s Wine Cafe, one of Western New York’s most unique experiences. It’s always been my dream to bring together great wines and food for family and friends to enjoy. Now with more than two decades of experience in the wine and spirirt business, I’m pleased to share my passion with you at what truly is a one-of-a-kind wine bar devoted to artisanal wines, small savory plates and genuine service in this warm and cozy Williamsville chateau. With my personally edited collection of seasonal and house choices, the wine list is designed to be attractive to all levels of enthusiasts. We are conveniently located right in the heart of the Village – within walking distance to all the shops and fine dining locations. Cabernet’s Wine Cafe is perfect for a pre or post-dinner drink, Monday through Saturday evenings. 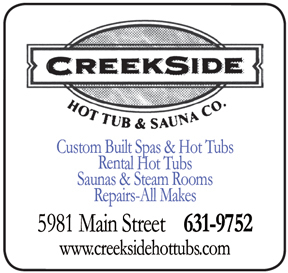 We are also happy to host private events, holiday parties and functions for any special occasion. Cathy Bloom – Owner, Cabernet’s Wine Cafe. Situated in a historic house overlooking the falls of Ellicott Creek, the Creekview has been a village favorite for years. The Creekview features an American regional menu and full bar with a patio open year round.